After founding and operating his own Century 21 Ken Kjer Realty brokerage in Lake Tahoe, Nevada for 30 years, Ken felt that the time was right to move to a warmer climate. His children had grown, and he yearned for the Hawaiian lifestyle. He took the leap in 1994 and became the Principal Broker for Maryl Realty, a division of Maryl Group, until 1999 when he joined Clark Realty as the Broker in Charge for the Keauhou office. In 2007, Ken founded Kona Home & Land Realty. Ken’s decades of dedicated service to his clients have given him great insight into all facets of real estate sales and development that he enjoys sharing with his valuable clients and customers. 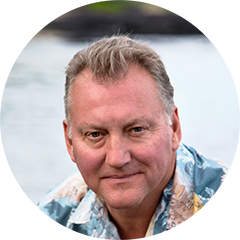 As a member and Past President of the Hawaii Island Board of Realtors® (HIBR), and understanding of the focused market in residential estate properties, coffee farms and South Kona ranch estates, Ken is the man who can make it happen with both perspective and ethics. He can truly attest to the “living in paradise” motto, and would like to help you with your piece of paradise, as well. John Clay is passionate about helping people find the right place to live their lives. He believes it is important to spend your time in an environment that resonates with your individual lifestyle preferences. 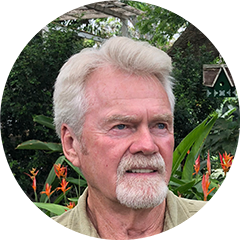 John has traveled extensively for both work and pleasure, and finds the Big Island of Hawaii one of the most beautiful places he has experienced. “The people here are incredible, and I love the pace of island life,” says John. Born in Florida, John has worked for large corporations in which the personal touch was lost when interacting with customers. Relationship is very important to him, and living in the intimate Kamuela community for the past 13 years with his wife, Karyn, and now daughter, Charly, has created the life he wishes for all of his clients…one of fulfillment in the place he calls home. When transitioning from one property to another, it is nice to have someone creating an enjoyable experience through the personal, as well as formal, process of home and/or land purchase. John’s professional demeanor and quick wit is likely to provide a positive experience along your journey.